As the National People's Congress gathers in Beijing for the beginning of China's "Two Sessions" political season, state media is making an international propaganda push on social media—including on platforms blocked by China's "Great Firewall"—to promote China's "system of democracy." That system of democracy apparently involves mass surveillance to tap into the will of the people. While China's growth as a surveillance state has been well-documented, the degree to which the Chinese leadership uses digital tools to shape the national political landscape and to control Chinese citizens has grown even further recently. That's because authorities have been tapping directly into Chinese Communist Party (CCP) members' and other Chinese citizens' online activities and social media profiles. The China Media Project reports that the CPP has mandated party members download a new smartphone application called "Xi Study (Xue Xi) Strong Nation" (学习强国)—an application that provides a library of articles and videos carrying the teachings of Chinese President Xi Jinping. 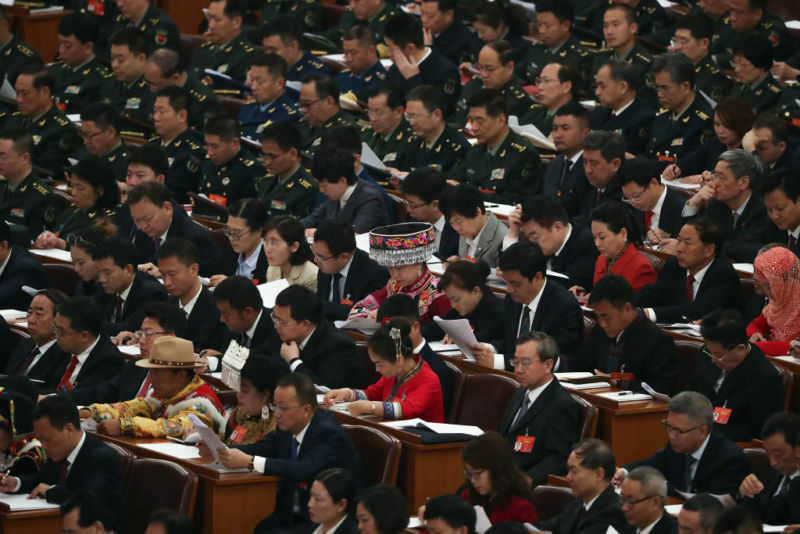 Party and government groups were to institute mandatory group training periods using Xi Study—similar to the periods of study of Mao's "Little Red Book" once required by the party.